With the cost of housing in Toronto surging to unprecedented levels in recent years, many buyers figured they’d save money by moving to the Greater Toronto Area’s fringes. A new Housing Market Insight report released by the Canada Mortgage and Housing Corporation determined that, while buyers saved money buying single-family detached homes in places like East Gwillimbury, Uxbridge, Burlington, Caledon, Mississauga, Whitchurch-Stouffville and Newmarket, they eroded those savings by commuting to Toronto via automobile. 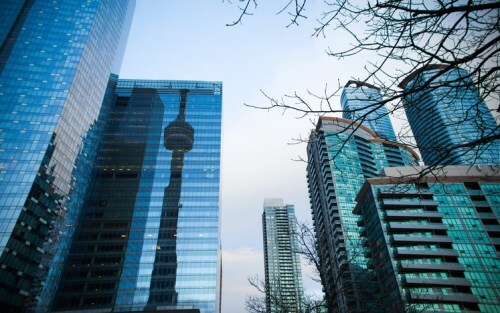 Carrying costs in Toronto and Mississauga worked out to $4,300 and $4,000, respectively, but the latter municipality costs commuters roughly $300, thereby negating any savings buyers would have reaped. The report notes, however, that people commuting into Toronto using commuter trains enjoyed savings. The driving cost estimates factored insurance, financing cost, depreciation, repairs and, of course, gas, to reach an estimation of $0.54 per km. Residents of Toronto benefited from public transit, namely the subway, as well as bicycling and walking. But while the report determined that significant cost savings are associated with commuting via public transit, commuting to Toronto by car actually saves time. Using census data from 2016, the CMHC report found that the cost of housing was less expensive in 16 out of 21 GTA municipalities when compared to the City of Toronto.